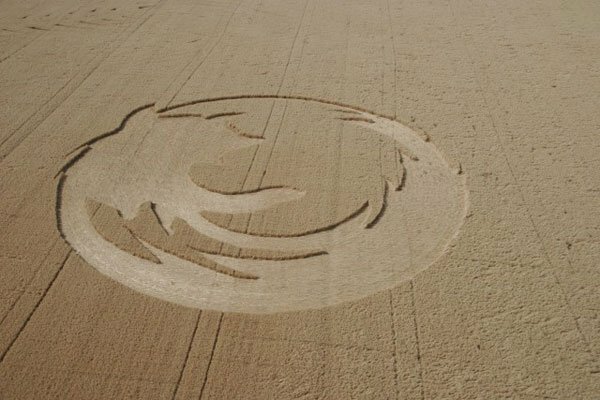 A crop circle in the shape of the Firefox logo has appeared in a wheat field near Amity, Oregon. The 220 foot phenomenon, discovered on August 12, is clearly a representation of the open source browser. Scientific explanations for the shamelessly promotional piece of cerealogy have been dismissed in favour of evidence of extraterrestrial contact attempts. Though communication means have traditionally been limited, our out-of-Earth neighbours' message is a clear: aliens prefer Firefox.